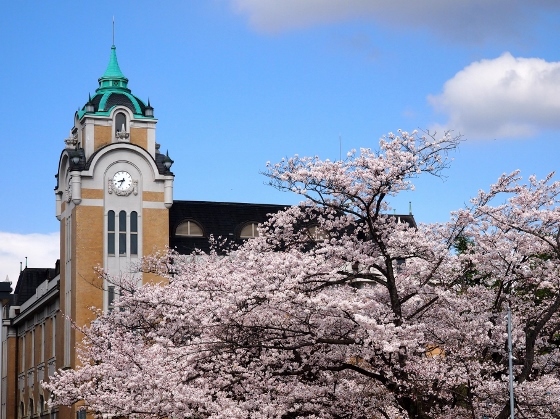 Cherry blossoms at Koriyama Public Hall in the city center are in full bloom today as shown above. Most of the cherry trees in the city have just started to bloom from beginning of April, but they are running very quickly now. 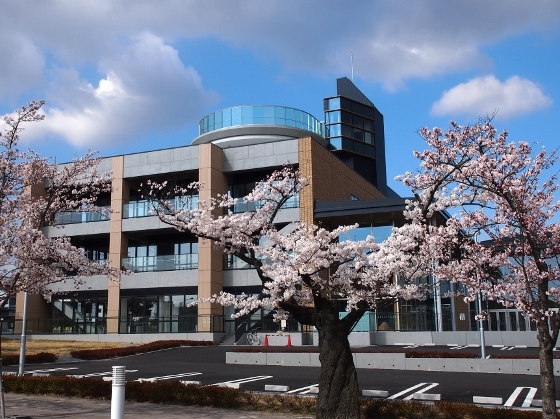 Photo above shows the new Koriyama Community Center building adjacent to the hall with cherry blossoms in front. 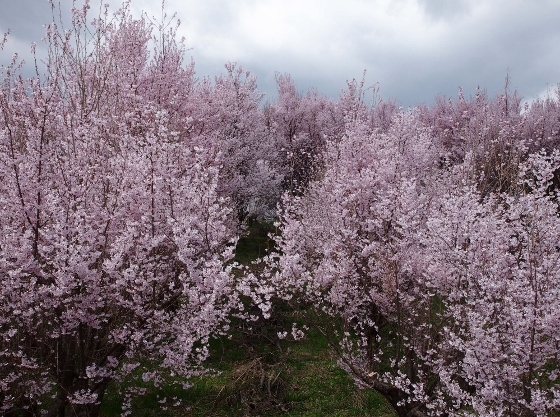 In the outskirts of the city at Kabokudanchi or "flower tree field", there was a sea of pink cherry blossoms as shown above. 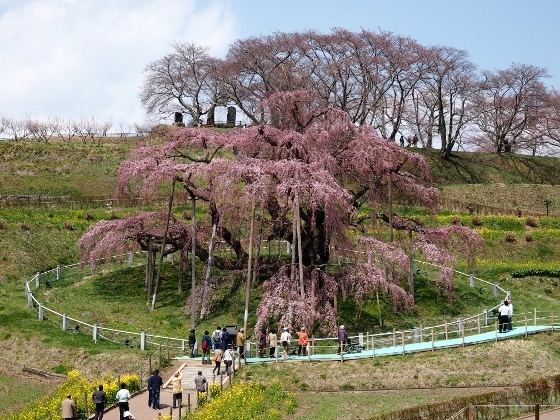 In the adjacent town of Miharu, Takizakura cherry tree which is one of the three giant cherry trees in Japan has just started to bloom this week. But today it already shows its gorgeous figure as shown above. It's yet 20% bloom and will be best to see from this weekend. 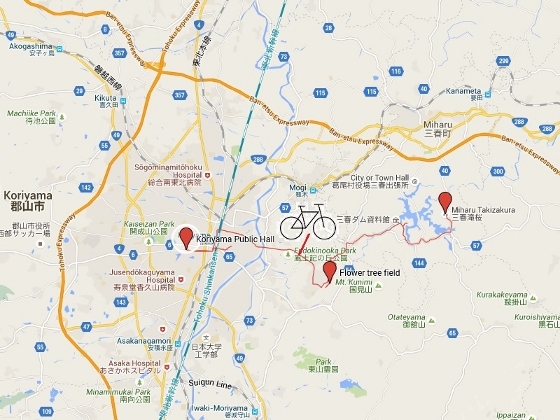 I will update the photo later this week.